The Sega CD had been announced at the Chicago CES on November 1992. Early reports had suggested that hardware in the system would allow it to display more on screen colors (from a larger palette) than the Sega Genesis or the Super Nintendo, which was an important technical concern for consumers. In the end, the Sega CD failed to convince North American gamers, mostly due to the cost of the console, and the lack of any hardware advancements. There just was not enough value for the price. Moreover, the game experience was little improved. The single speed CD drive added load times to all games, and the 64-color graphics and underpowered processor (for video rendering) made full-motion games look terrible. 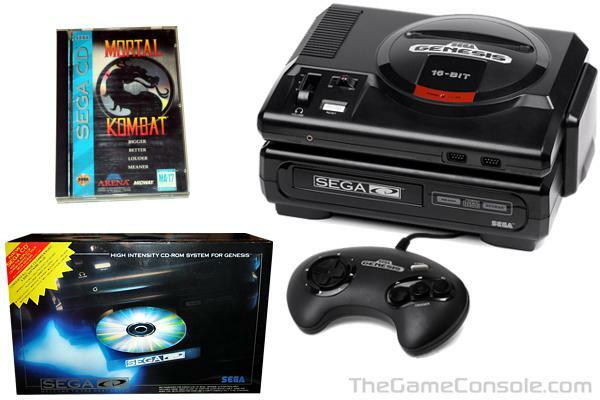 One particularly infamous example of this came in the form of the Mortal Kombat CD, which was widely criticized due to certain moves, particularly the games popular "fatalities", that would not perform until after a notable lag between the execution of the move and its actual on screen animation.